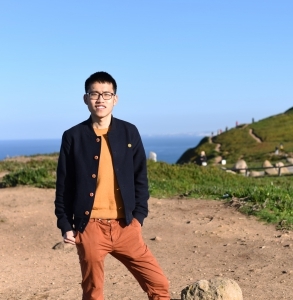 Yansong Hao received a Master degree in Materials Engineering with a specialization in Polymer and Composites from the Katholieke Universiteit Leuven in 2018. His Master thesis was about the theoretical modeling of Carbon Nanotube (CNT) forest densification behaviors under capillary force. At the end of 2018, he joined the University of Mons and the Laboratory of Chemistry of Novel Materials as a PhD student in the group of Prof. Roberto Lazzaroni. During his PhD, he also works jointly in the EMAT group of Universiteit Antwerpen. His research topic is: “A joint experimental-modeling study of the structure and properties of functional molecular monolayers for the control of organic crystal growth”. The main goal of this study is to investigate the effects of functional molecular monolayers on the organic crystal growth above.